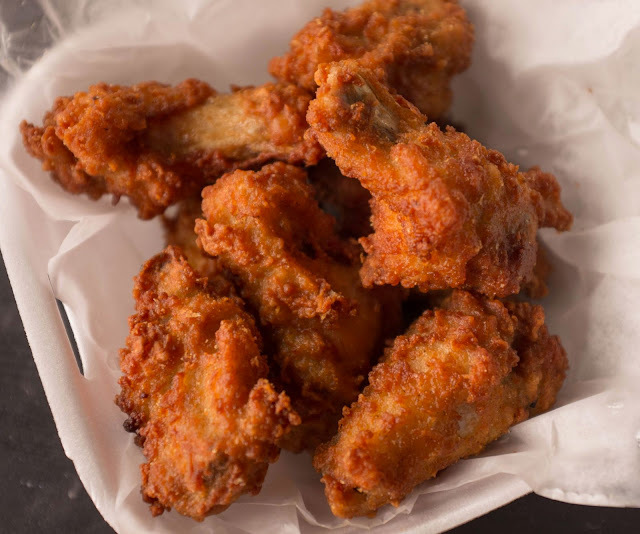 Polly at the Enquirer recently posted a selection of the best local wings, based on reader input. While we agree with their recommendation of Knockback Nat’s (go, and don’t skip the Hanky Panks), once I read the post I noticed that there was something missing. Cincinnati, let me hit you with some knowledge. 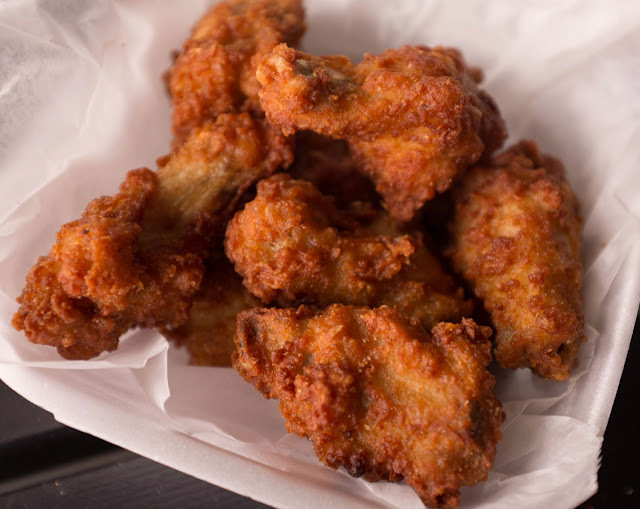 Some of the best fried wings downtown are somewhere most of us would never look. A Mediterranean restaurant. Yeah, you heard me. I don’t get it either. David and I like Al Amir. It’s cheap, it’s fast, the hummus is well-made, and during the summer, makes a great takeout meal to eat on the square in the sunshine. Each time we were in, we kept noticing something odd. First, chicken wings were on the menu. Second, people kept ordering them. Finally curiosity got the best of us and we ordered some as well. I must add some disclaimers here--these are not fancy, confit wings you can get across the street at Local 127. These come frozen out of a bag, which makes why they are so amazing all the more mysterious. 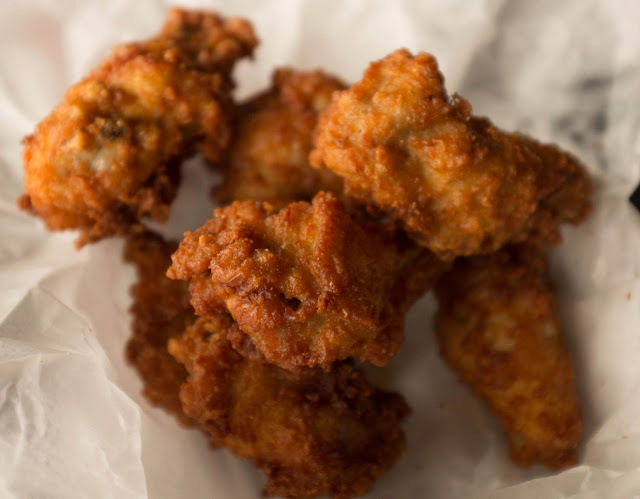 These wings are fried to order in front of you, and the breading on them is exceptionally thick and crispy, leaving the chicken inside incredibly juicy. So, Why does a Mediterranean restaurant serve wings? Sometimes it’s best to not ask questions and eat your amazing chicken wings from the unlikeliest of places, which is our recommendation.